Tourists and locavores alike hungry for a truly “Vancouver” experience will directly benefit from the partnership of two titans in the local culinary scene. The Granville Island Market Tour, operated by Vancouver Foodie Tours in partnership with Edible Canada, offers an in-depth excursion around Granville Island. The bustling island nestled in the Burrard Inlet is the second-most visited destination in Canada. And this two-hour tour, running daily year-round, covers all the nooks and crannies of the isle, showing off cusine to titillate the taste buds and enough local art and crafts to stimulate all five senses. What better way to show off the island’s splendid sights than to immerse them in the action? On the tour, guests can consort with professional foodies at the bustling Public Market where the city’s chefs find fresh fare to fill out their menus. They’ll eat their way through the Public Market, where the catch of the day is sold alongside artisanal cheeses, melt-in-your-mouth donuts and aromatic fair-trade coffee. Tour attendees will also get an earful of the intriguing stories, culture and history behind the market’s delectable creations. Edible Canada is just steps away, which serves up scrumptious dishes created with local ingredients. And just a short jaunt down any road visitors will discover dozens of boutiques offering everything from fine jewellery to hand-carved totems. 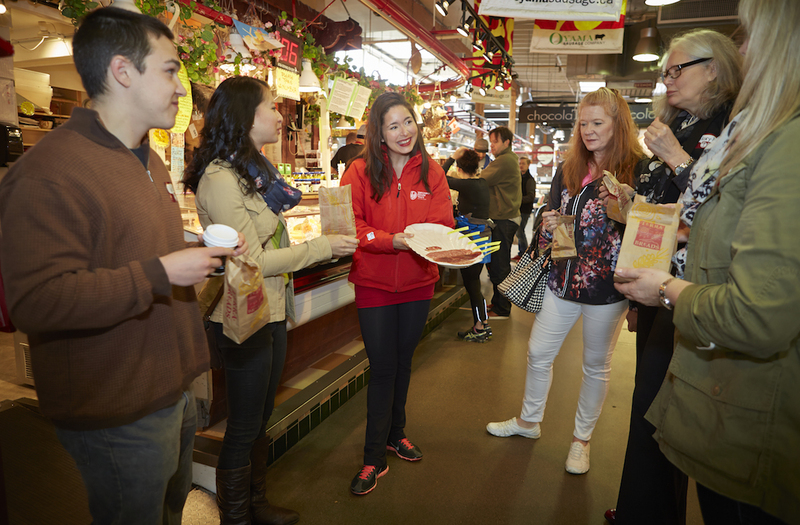 The Granville Island Market Tour is the third in the Vancouver Foodie Tours VFT – GI – Tea lineup. Along with the World’s Best Food Truck Tour and the Guilty Pleasures Gourmet Tour, the tour gives food lovers the opportunity to treat their discerning palettes to the best cuisine Vancouver has to offer. The variety of sights will give visitors a heaping slice of local life and help them inhale Vancouver one delicious bite at a time.